I’d hate to look down and see that little guy making off with one of my toes. I wanna see someone 3d print then plasticine reconstruct. Yeah, in my experience small herbivores with weaponry are usually mean as hell. Andy and I both reckon that Aquilops would be a notorious finger-nipper if it was alive today. Neat! A few days ago, in conversation with someone, I speculated that 3-D printers might be a help to scientific communication: that, for example, in the future a palaeontologist might include a digital file in the “supplemental information” of a paper from which others with access to 3-D printers could make copies of fossil bones… AND THE FUTURE HAS ARRIVED! How would you compare the output of a #-D printer with the casts that people have had to study when their travel budgets didn’t allow them to visit the museum holding the original specimens? Based on personal experience, 3D printer output (even for the high-end models) is not yet at a comparable level with a good quality cast produced from a silicone mold (and with said mold and cast done by a competent technician). The main issue is in the surface detail–silicone (and even latex, to some degree) picks up a lot of microstructure that 3D printers just can’t reproduce yet. That said, a 3D print is still quite useful–e.g., you don’t necessarily need every surface detail for most limb bones, or even many skull elements. I would say in the case of Aquilops, you are losing out most on some of the dental details, which are fairly critical for identifying isolated ceratopsian teeth. So, a good cast or figures are still important there. But, a 3D print will show most of what you want to see for other details. I can say from personal experience that even a rough 3D print in hand can give a better “feel” for the specimen than even the best figures or 3D PDFs (which are an okay intermediate measure, but problematic for many other reasons). There is much about scale and proportions that only seem to click for me when I have a specimen (or replica) in hand. 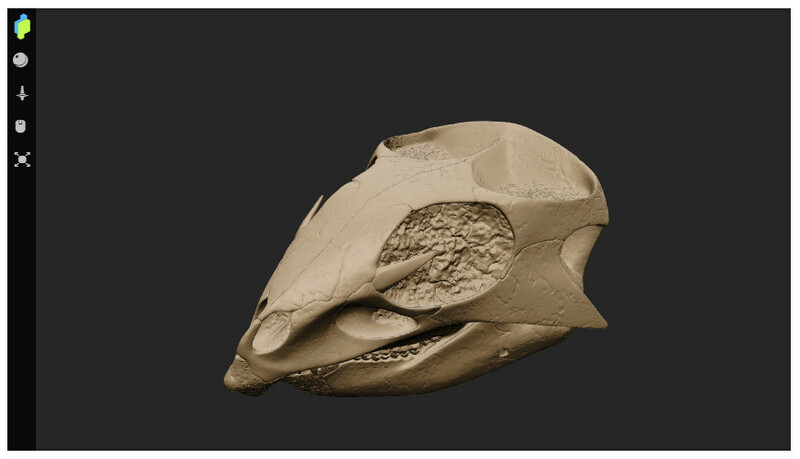 If you want more 3D digital dinosaurs, you can check out the baby Parasaurolophus some colleagues and I described last year–the website has links to downloadable STLs and the like. Shame on you, sir. The only honorable course of action is to throw away your pathetic life-sized Aquilops print, and get a new one printed at 1:15 scale. Oh my word. I can 3D print Joe’s skull too? I’ll echo Allen’s sentiments. 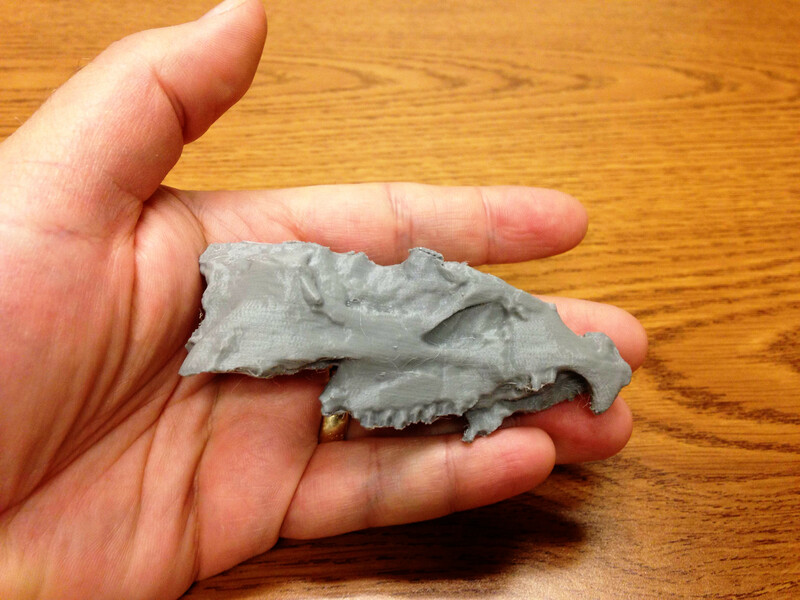 3D printing is a cheap, accessible way to get fossils in people’s hands. 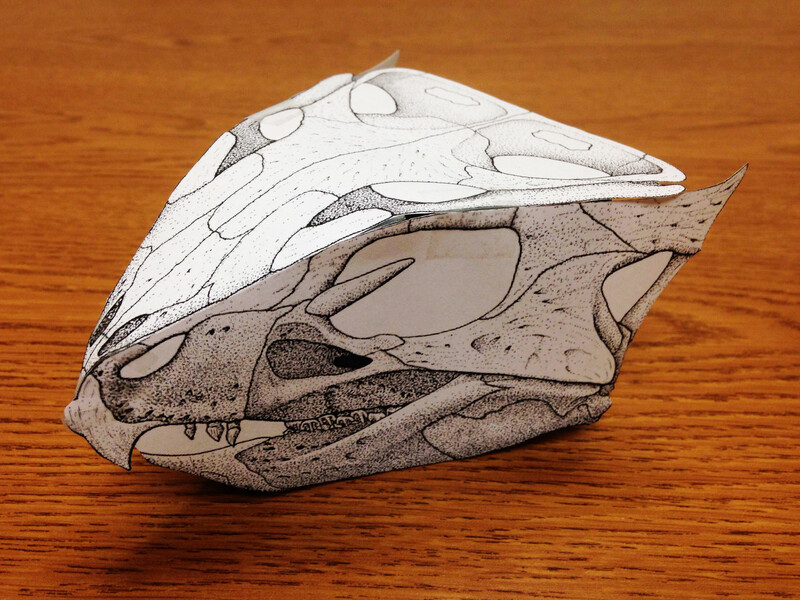 It’d be great if 3D PDFs became standard practice, at least for smaller fossils that could reasonably be 3D printed. Yes, you lose a lot of smaller details but for general educational purposes I think it’s hard to beat. Here’s my attempt at working on the papercraft version. With a little bit of extra knife work, I managed to get it looking pretty nice. Here is my shot at making something. I combined parts of the babies in Brian Engh’s picture to make up enough arms and legs to create a whole baby. I might upload the parts at some point. 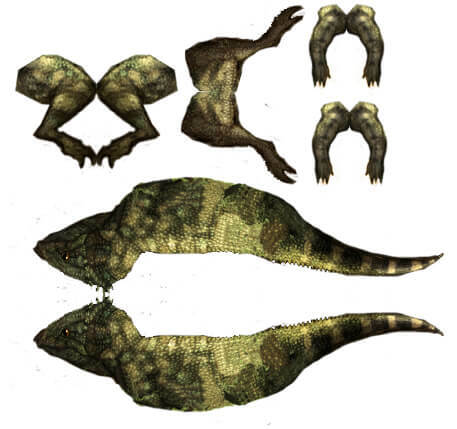 If anyone wanted to make the baby Aquilops, here are the parts. I found printing them out on paper worked as you have to glue the 2 sides together. I’ve been waiting for the time when I could own a 3D print of a fossil. One question, where’s the link to download it? I’m not the best at navigating websites. It is also worth noting that I created a beer recipe in honor of Aquilops, which incidentally topped an informal tasting for my local homebrew club. Recipe here, in-progress information here, and tasting results here. « My neck-cartilage angle paper is out!